When a business is considering outsourcing its IT management to a managed service provider, there are often questions about whether they’ll receive a comparable – or better – level of service and support to in-house IT management. In this post we’ll talk about some of the challenges companies sometimes experience with outsourcing IT, and how Tolar Systems solves them. Companies decide to outsource technology management for a variety of reasons. Some wish to reduce their IT costs and leverage IT more strategically. Others may lack the expertise in-house to efficiently manage their technology to avoid downtime or maintain security of their data. There can be other reasons too. But regardless of the reasons for choosing to outsource, all organizations are hoping that they will reduce the numbers of issues, challenges and frustration they experience with technology. Why do IT outsourcing customers so often begin with high expectations from their managed service providers, yet end up dissatisfied? 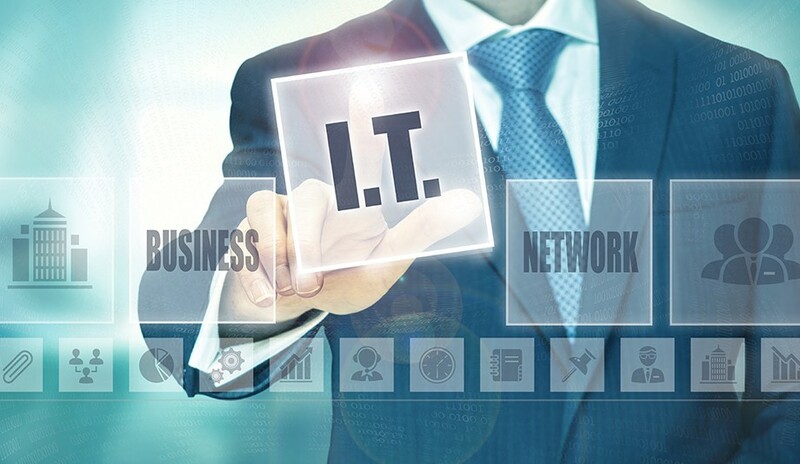 We believe its partially due to the unique nature of managed IT services. When clients experience an IT issue, it impedes their ability to work efficiently. They become frustrated and worried about meeting the expectations of their customers. Yet when they’re not experiencing issues, clients may take their technology management somewhat for granted. When issues do arise, clients look to their managed service provider to provide fast, friendly and efficient service that resolves their issue and gets them back to work quickly. In short, customers aren’t just looking for technology expertise; they’re looking for a great customer experience and less frustration related to their IT. So why do IT outsourcing firms and managed service providers sometimes fail to meet these expectations? Let’s take a look at the most common challenges cited by companies that use managed services and outsourced IT. Communication – One of the biggest challenges organizations cite when it comes to outsourcing their IT to a third party is communication. After all, once the IT function is managed by another firm, you can no longer walk down the hall to let your IT person know about any problems you may be experiencing. To solve this problem, Tolar Systems has implemented a variety of communication methods to ensure that our clients can always submit issues quickly and easily, whether by phone call, email, or online. We’ve also implemented customer feedback surveys at the end of each support ticket to be sure that our service lined up with our customers’ expectations. We make it easy to contact us and get support, and easy to let us know how we’re doing. Response Time – When you submit a support ticket or issue, you want to be sure that it is solved in a timely way. But sometimes, outsourced IT providers can be a bit slow to respond. Not Tolar Systems. Our service level agreement clearly defines our response times, so clients are not left to wonder when or if they’ll hear back from us about an issue; it’s detailed in our agreement right from the start. Once your issue is submitted to us, the clock starts ticking: we are required to respond within a set period and work to resolve your issue as quickly as we can. Availability – Another common complaint about IT outsourcing is availability: it can sometimes be difficult to reach a live person when you call in about an issue you’re experiencing. At Tolar Systems we’ve solved this issue with a live 24/7 call support center. If clients call in with an urgent issue, they’ll be able to speak with a live operator even after hours or when we’re experiencing higher than normal call volumes. Lack of Strategic Focus – Another key challenge identified in the Clutch survey is strategy. Many IT service providers understand technology very well and do a great job managing day to day issues. However, they may be less skilled at helping organizations leverage their IT strategically within their unique business or industry to become more competitive, efficient or profitable. At Tolar Systems, we focus on best practices and leveraging IT as a strategic asset; that's why we offer a periodic IT strategy review - we call it VCIO services - as part of our Complete Care package. In short, we believe in delivering the level of service we would hope to receive. That’s how we live out our core value of Following the Golden Rule. To learn more about how we can deliver a better experience with managed IT services, contact us today.